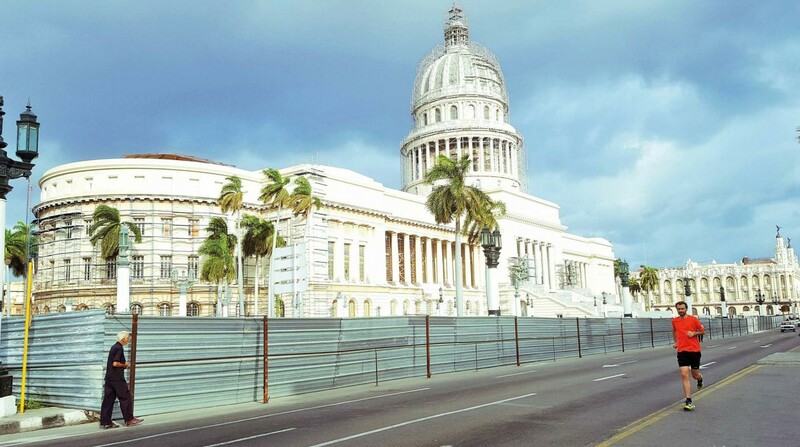 Cuba is officially open for business. Historically the Caribbean island’s relationship with the US made it an awkward destination for travellers looking to enjoy its unique charms. But since the thawing of relations commercial flights have sharply risen and tourism is expected to balloon accordingly. I wanted to see the island before the four million tourists expected in 2017 turn up, and my best friend’s wedding gave me the opportunity to do so. It also gave me the chance to explore by foot the trails and roads of an island that still feels somewhat forbidden and undiscovered. For the time being at least. My first trip is to the south of the island and after an exhausting day of navigating the confusing rural roads of inner Cuba, I arrive in Trinidad, a beautifully restored 16th century town, and head straight to bed. I’m C up before dawn the next day to avoid the heat and my body, quite frankly, is utterly disorientated by being up at 6am running. The streets are silent and I jog past the famous Plaza Mayor towards the town’s historical church. The well-trodden cobbles would be terrible for anything too energetic, but for my morning slog are just fine and I pace myself accordingly. 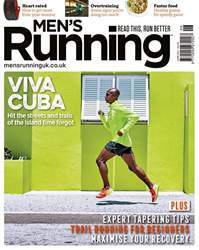 As I discover over the coming weeks, running in Cuba is, overall, very safe. Aside from the odd toot towards my brightly coloured shoes, I’m generally left in peace – so long as I give way to five-decade old taxis.